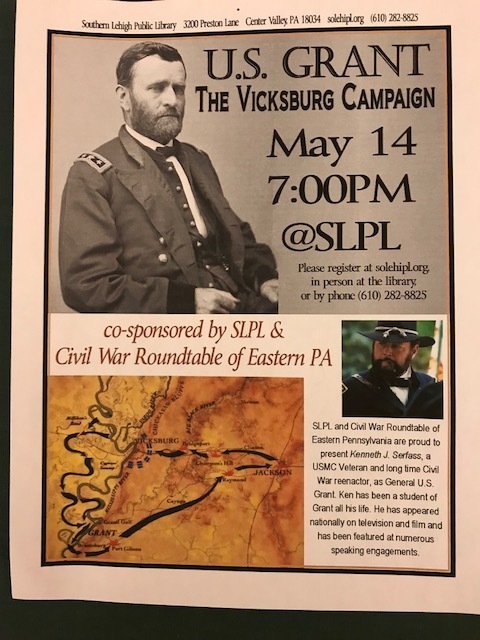 SLPL and Civil War Roundtable of Eastern Pennsylvania are proud to present Kenneth J. Serfass, a USMC Veteran and long time Civil War reenactor, as General U.S. Grant. Ken has been a student of Grant all his life. He has appeared nationally on television and film and has been featured at numerous speaking engagements.